The greyhound holds a unique place in history. In early Arabian culture, the birth of a greyhound was second in importance only to the birth of a son. The Persians believed that greyhounds were allowed in the next world to give information about mankind. In addition to this, greyhounds are the only canine mentioned in the Bible. The conclusion: the greyhound has a noble lineage. It was left to the Egyptians to get the greyhounds racing for sport. The first evidence of this comes from the tomb of Amten, in the Valley of the Nile. Accredited Egyptologists date the three unmistakable greyhound carvings as belonging to the Fourth Dynasty, which in modern chronology would be between 2900 and 2751 BC. Today, according to the New Zealand Racing Board, there are more than 40,000 people involved in the racing industry from racing animals to running racing clubs, codes etc. Wagering generates approximately $1.4 billion in economic activity each year with wagering along generating more than $40 million in tax revenue annually. (Source: IER's Size & Scope of the New Zealand Racing Industry: Economic Impacts & Community Social Benefit 2004). 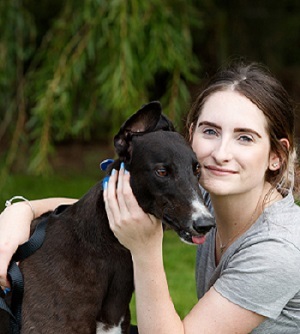 Greyhound racing has a proud history and if you wish to become a part of its future please click on one of the links below to find out how.